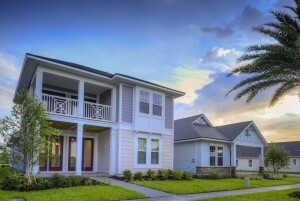 Providence Homes has now built over 800 new homes that have earned the EPA’s ENERGYSTAR® Certification since 2009 for families’ right here in Jacksonville! “We’re proud of our commitment to being the only locally owned 100% ENERGY STAR® Certified Home Builder in Jacksonville,” said Sean Junker, President of Providence Homes. “We are committed to offering state-of-the-art performance in our homes with a comprehensive package of features that deliver greater value, quality, and comfort than ever before.” ENERGY STAR® Certified homes that earn the label in 2015 are now being built to the stringent Version 3.1 standards with a comprehensive, building science-based approach that features: – A detailed package of home envelope air sealing, properly installed insulation, and high-performance windows to deliver comfort, durability, and lower utility bills. – A high-efficiency heating, cooling, and ventilation system designed and installed for optimal performance. – A complete water and moisture management package to protect roofs, walls, and foundations. – ENERGY STAR certified lighting and appliances that help reduce monthly utility bills. – Onsite third-party verification, with independent inspections and testing by a certified Home Energy Rater. In recognition of this unwavering commitment to building 100% ENERGY STAR® Certified Homes, Providence recently received the 2015 ENERGY STAR® Partner of the Year Award – New Home Construction category from the Environmental Protection Agency (EPA). The award recognizes its outstanding efforts to bring more energy-efficient homes to the Jacksonville marketplace through its actions. Providence Homes’ systems-based understanding of how homes function, coupled with superior building practices, enables us to deliver homes of beauty, comfort, durability and unmatched high performance. In recognition of this commitment, Providence Homes has received the ENERGY STAR® for Homes Leadership in Housing and Certified Market Leader from the Environmental Protection Agency (EPA) in 2010, 2011, 2012, 2013, 2014 and 2015. As a Residential Energy Services Network (RESNET®) Energy Smart Builder, Providence Homes is also committed to having all of our homes energy rated following RESNET’s stringent standards, and actively marketing our homes’ HERS Index ratings. A copy of every Providence Model Home HERS Index score is displayed in all model home sales centers. All HERS Index scores displayed are “As-Built” ratings, never “As-Designed” ratings. “As-Built” ratings are a requirement for a home to receive the ENERGY STAR® Label. About Providence Homes When Bill Cellar founded Providence Homes as a one-man, home-based operation in 1992, he did so with a personal pledge to make a difference in the industry. He was committed to building beautifully designed homes at affordable prices, and to building every home with the same attention to detail and reliability he would with his own home. About ENERGY STAR® ENERGY STAR® was introduced by the U.S. Environmental Protection Agency in 1992 as a voluntary market-based partnership to reduce greenhouse gas emissions through increased energy efficiency. Today, ENERGY STAR and its partners have helped prevent a total of more than two billion metric tons of greenhouse gas emissions. In 2014 alone, ENERGY STAR and its partners provided more than $11 billion in societal benefits due to reducing damages from climate change. ENERGY STAR certified homes use substantially less energy for heating, cooling, and water heating; in fact, homeowners who buy ENERGY STAR certified homes can expect up to 30 percent less energy costs than a typical new home. Americans living in ENERGY STAR certified homes have saved more than $4 billion on their energy bills with more than 1.5 million American families now living in ENERGY STAR certified homes. ENERGY STAR has 16,000 partners working to protect the environment through greater energy efficiency, including manufacturers, retailers, public schools, hospitals, real estate companies, and home builders. For more information about ENERGY STAR®, visit www.energystar.gov or call toll-free 1-888-STAR-YES (1-888-782-7937).